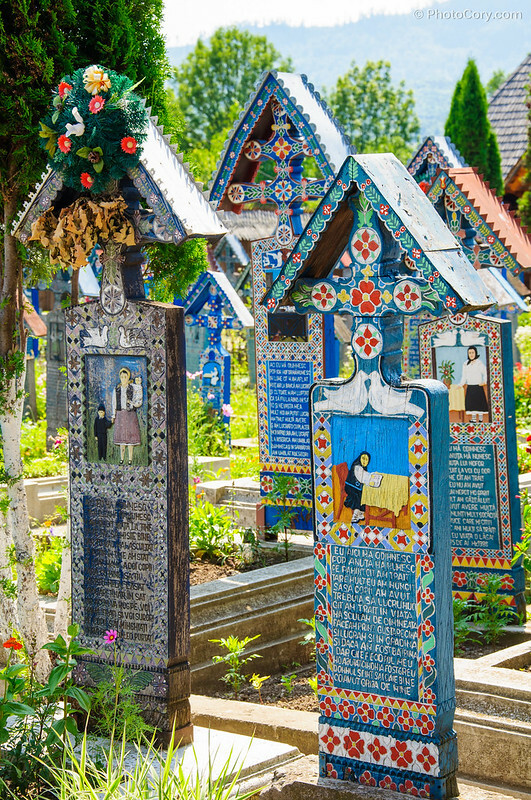 The Merry Cemetery from Sapanta (“Cimitirul Vesel” in Romanian) located in the Maramures region of Romania, is not boring, gray or depressing like other cemeteries that we know, but instead it has colorful painted tombstones and short funny poems about the life of the person buried there. 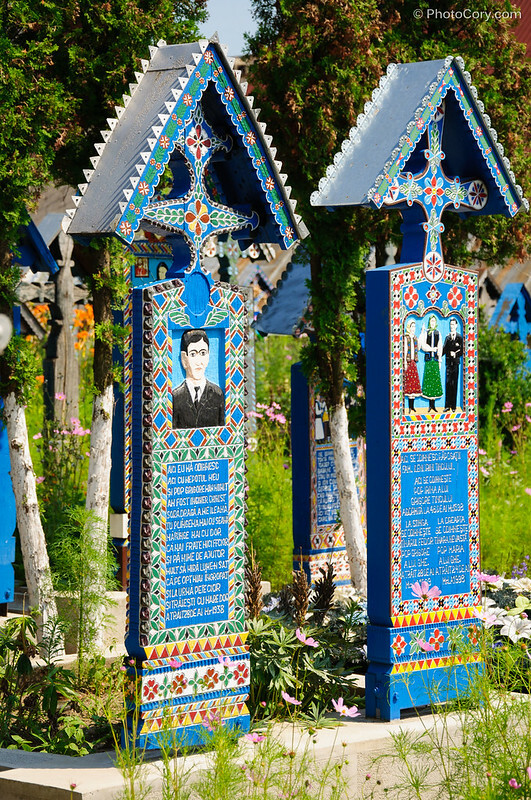 The wooden crosses are hand carved with chisels and painted with blue and vivid floral decorations. 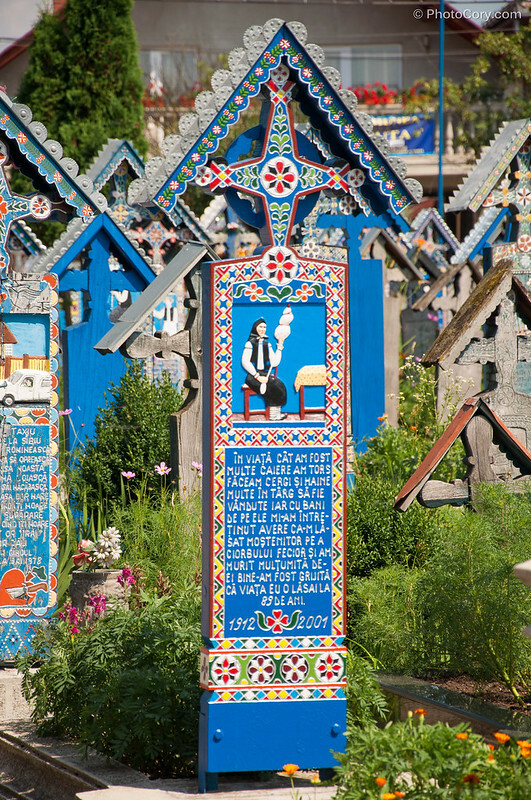 Each cross has a carved or painted photo of the deceased along with a funny epitaph about a specific moment in their life (the reason of their death, their profession, or their passion in life): farmers on tractors, women spinning yarn, shepherds with sheep on the field or teacher at his desk. 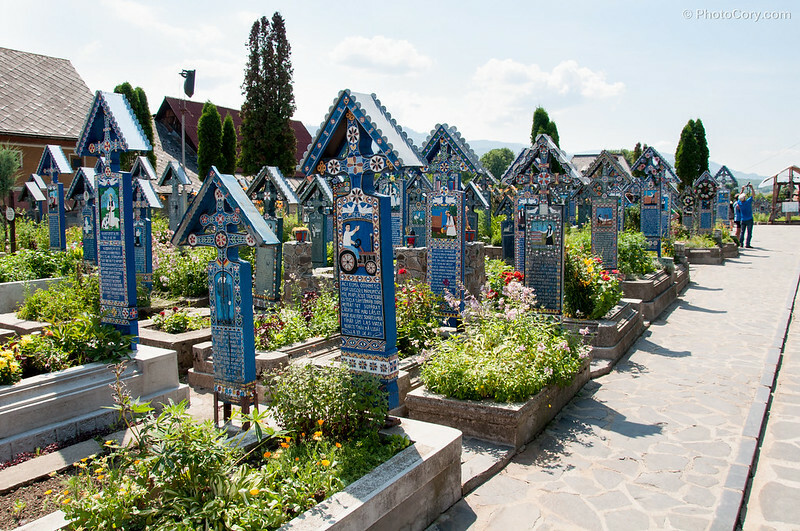 The cemetery dates from 1935 and the oak crosses are the result of a lifetime work and talent of Ioan Stan Patras (sculptor, painter and poet). He managed through his work to chase away the sadness and the darkness that death brings. 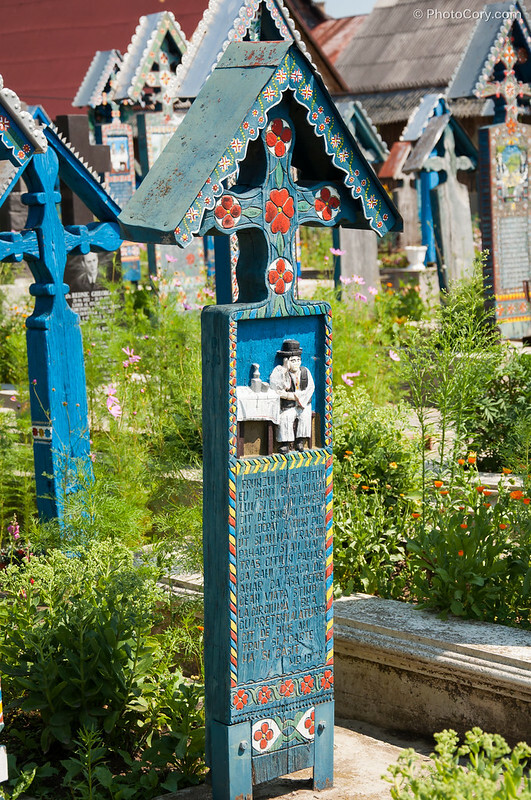 He removed the drama, he mocked death with humor, focusing on the triumph of life. Zaceam eu si cetea ea. I would lie, and she would read (this cross). Iarai cu gura pa mine She’ll criticise me more. Ca-napoi n-a inturna So she’ll not return from grave. Stai aicea draga soacra-mea Stay here, my dear mother in-law! 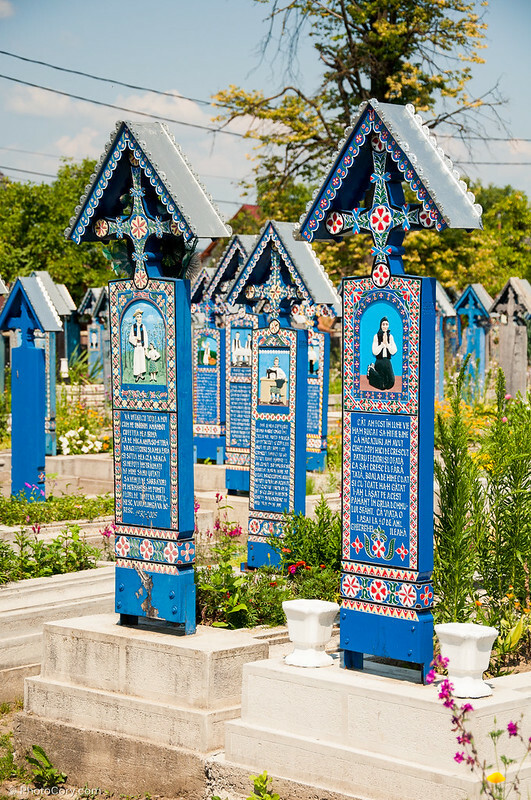 A striking and very colourful cemetery. I remember it well. 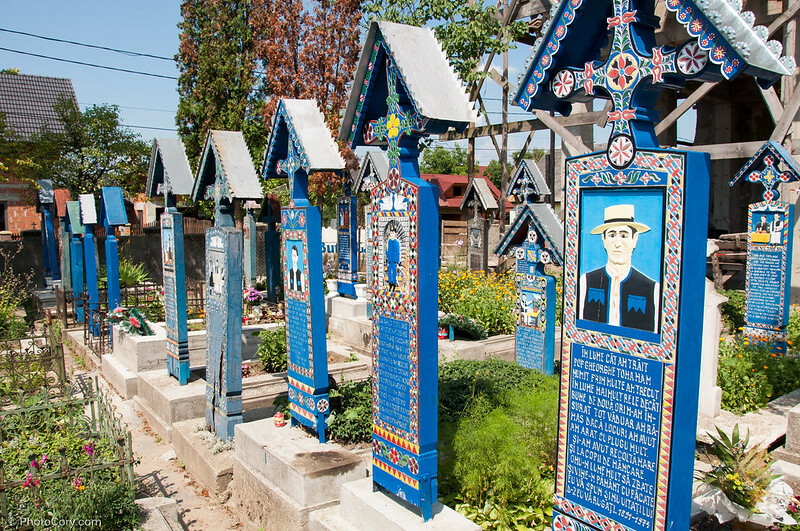 But I found it strange that some of the graves depicted how the person died — eg in a road accident. 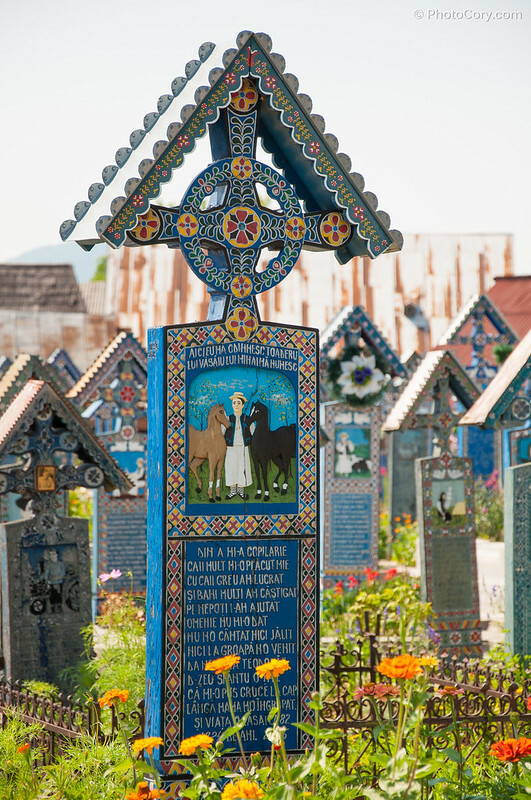 I so wanted to visit Maramures when I was in Romania, but we did have the time to get up there. Great photos!